I decided to go to Tony & Jackey (Amoranto Branch) to get a trim and treatment. They have this P1000 promo package for haircut and keratin treatment for any hair length, which I think is not a bad price. Well, that was originally the plan. However, I asked my stylist if I can have a color, and she said YES after checking my hair condition. This 2011, I did a lot of hair changes such as coloring, then permanent blowdry (which lasted only for 2 months), then coloring again, and finally a soft rebond. I did take care of my hair by applying DIY keratin treatment twice a week. So I guess the keratin paid off since I can have a color despite the numerous changes I did to my hair. So then, the idea of a haircut and keratin treatment was out. Instead, I availed their L’oreal hair color in black brown for P3000. I know the price is kinda steep. You can avail same L’oreal hair color in a cheaper price at other salons. But I what the heck, I’m already here, so let’s get it over with. You see, I’ve been wanting to dye my hair for almost a month now. I just need a go signal from a hair expert if I could do it. My ash brown hair has already faded, so in short, I have black, brown, silver and white hair all over. It’s so messy! Other people would say my hair color is still okay, but being an OC person, I wanted to fix it. Generally I would have chosen a lighter shade but my stylist told me that it can’t cover silver/white hair. 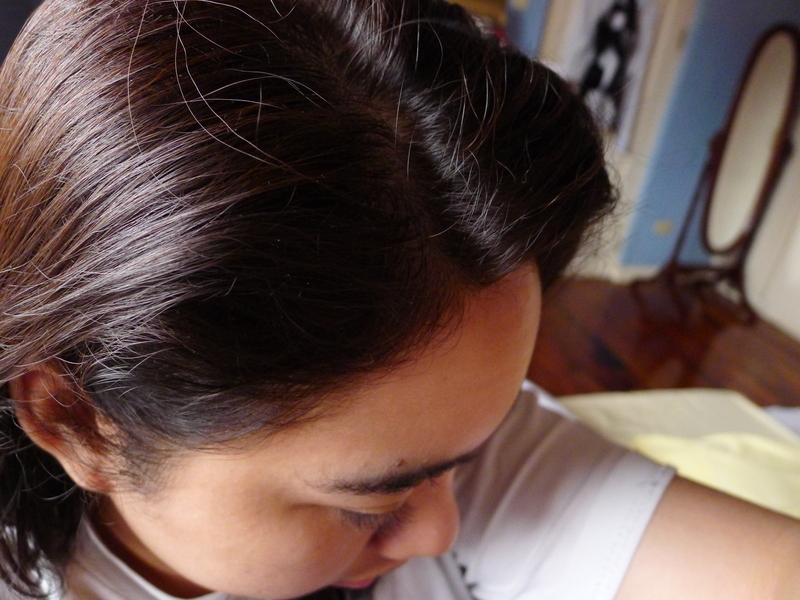 So I chose black brown in order to cover my white strands and at the same time conceal my remaining ash colored hair. And thus, I did it!